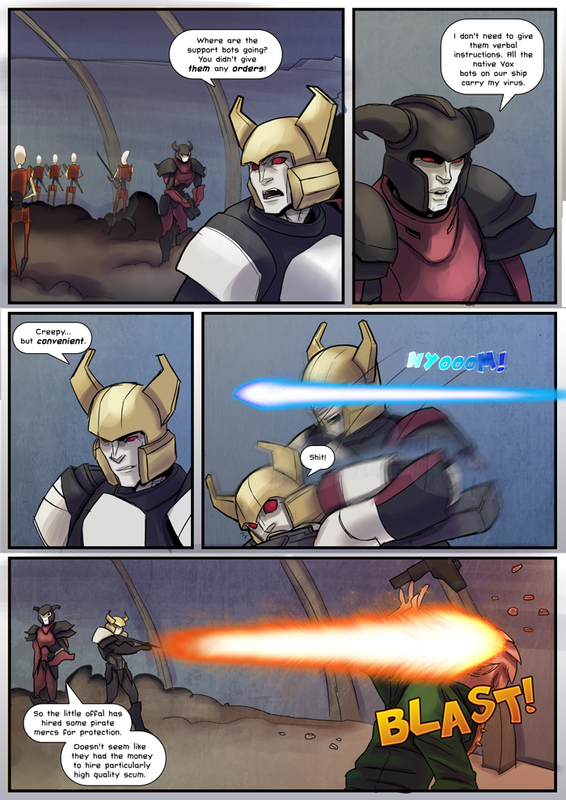 I found this comic on tapastic, finally a good sci fi comic of someone who knows how an actual bot would work. (was tired of the virgin romance comic on tapastic.) The main characters are very likeable and their designs are so cool, i absolute adore your comic, so glad i found it. Too bad this is deadish. Sorry never resolved. Sad. It’s not dead! I just haven’t had time to work on it in the last year. I just ran through this in about three hours now what do I doooooooooooo?? Wow I have to say this comic is pretty brilliant story wise and I LOVE the expressions. All the faces are great.